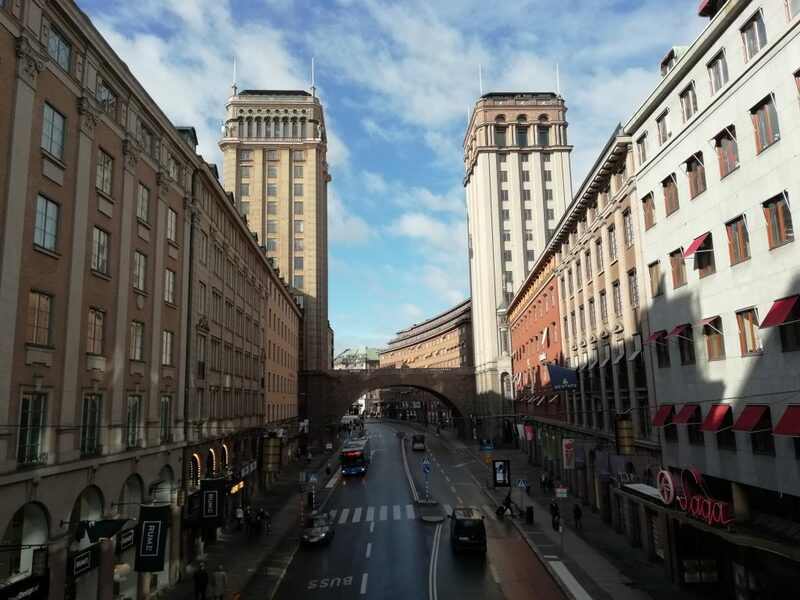 This blog post is by Dr Alexander Scott, Lecturer in Modern History, who presented his research on 20th-century housing at a conference in Stockholm in September. One of the best parts of being an academic is getting the chance to go to conferences in fancy, interesting places. For most people, a post-war housing estate probably wouldn’t qualify as either fancy or interesting. But for scholars like me who do research on 20th-century housing policy, the opportunity to speak at a conference held in the Tensta suburb of Stockholm was unmissable. Organised by Stockholm University and the Association for Literary Urban Studies, ‘Large-Scale Housing Projects as Productive Space in Literature and Culture’ examined responses to mass housing schemes across Europe and North America. Delegates’ presentations explored literary depictions of housing estates set in various cities, including Helsinki (e.g. Pirkko Saisio’s Concrete Night, 1981), Berlin (Christiane F, We the Children of Banhof Zoo, 1978) and Stockholm (John Ajvide Lindqvist, Let the Right One In, 2004). Papers also investigated broader socio-political issues. For instance, there was an interrogation of the reality and myth of life at Pruitt-Igoe – the St Louis, Missouri housing project which inspired Charles Jenks’s famous line that modernist architecture “died” when it was demolished in 1972. My contribution to the conference concentrated on the politics of housing in Liverpool. It looked, first, at the high-rise tower blocks and inner-city dispersal policies that were offered as solutions to the housing crises of the 1940s–1960s, and, second, the reaction against this status-quo by central and local government in ensuing decades. Tensta was an apt location in which to think through such matters. Located eight miles northwest of central Stockholm, Tensta was one the estates built during the 1965–1974 Million Programme – an ambitious project that sought to rehouse about one-eighth of Sweden’s populace. Its association with such a large-scale state project indelibly links Tensta to the politics of Swedish Social Democracy – although one could easily mistake its concrete architecture for somewhere like Kirkby, Merseyside! As well as shedding light on post-war history, the conference’s location had contemporary resonance. Home to a high immigrant population, suburbs such as Tensta have lately been subject negative stereotyping by the Sweden Democrats – the far right party which made gains in recent national elections. 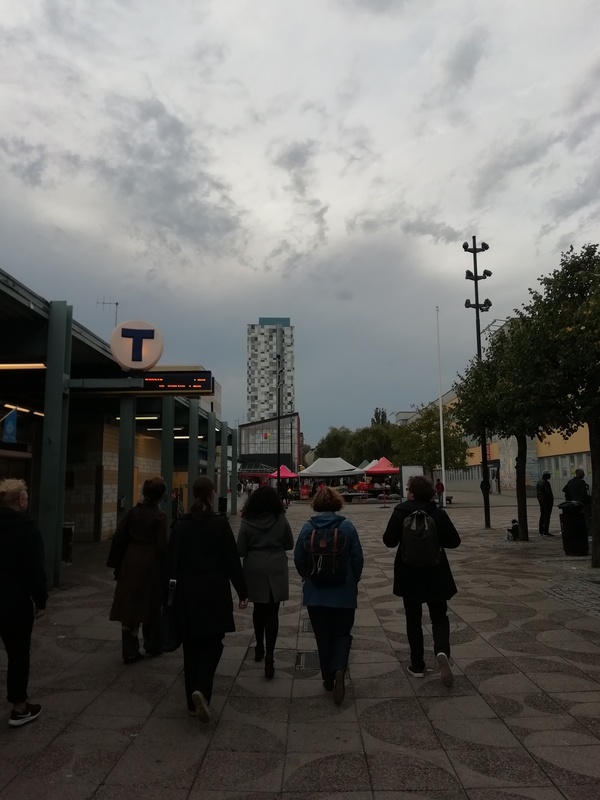 While a single-day visit obviously cannot give a full picture, there was nonetheless a jarring disconnect between the political rhetoric and my impressions of Tensta. Residents were very accommodating to our strange influx of overseas academics when we toured the estate, and conference organisers introduced us to artists whose work is installed inside the local shopping centre. The fabulous East African dishes served at Tensta Konsthall also put the ‘curly sandwich’ of standard conference fayre to eternal shame! The conference trip also afforded chances to satisfy other research passions. Stockholm is home to around one hundred museums and galleries, offering numerous chances to learn more about the city, its history and its contemporary status. Exhibitions on architecture and urbanism at ArkDes were a brilliant complement to the conference’s themes – especially those on the disputed public realm in Scandinavian cities. But I also had time to vicariously indulge in colleagues’ research interests at Stockholm’s medieval museum and the Vasa exhibition – the veritable mecca of nautical archaeology! In fact, Stockholm occupies an important position in museum history in several respects. In the eighteenth century, the city was home to Carl Linnaeus – the pioneer of museological classification systems. A century later, Stockholm saw the creation of Skansen, the world’s first open-air folk museum. Skansen is still open today, complete with live reindeer, brown bears and other Nordic animals. A more personal highlight were the animals of the dead variety at the Swedish Museum of Natural History. 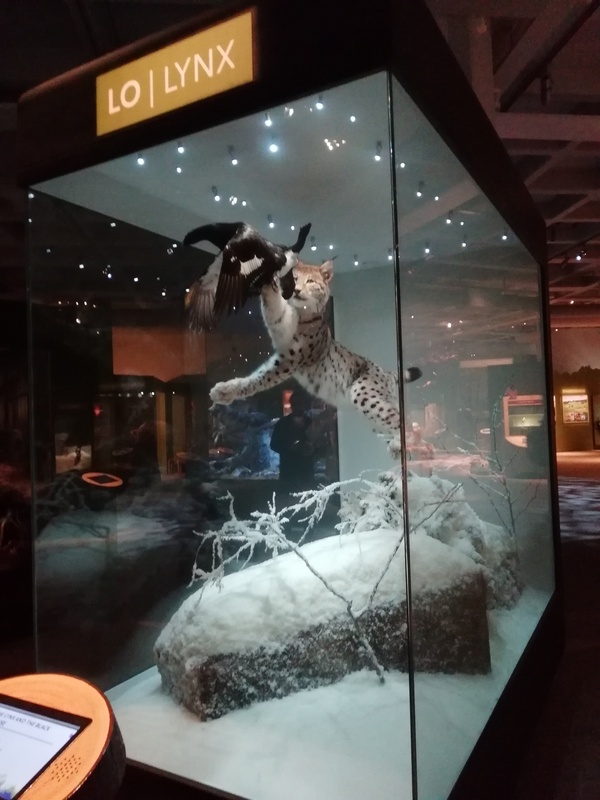 Some of the first habitat dioramas displayed in Stockholm in the late nineteenth century, and the artistry of the museum’s taxidermy exhibits remains impressive. As an added bonus, a visit to the Natural History Museum even allowed me to do some gorilla spotting ahead of my most recent research paper! 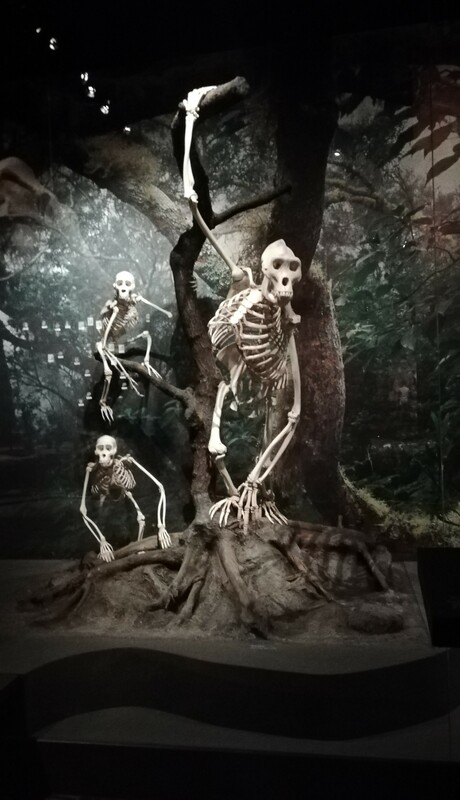 Gorillas? Housing? Museums? What more could you want from a conference trip? !